The name Bargello originates from a series of chairs found in the Bargello palace in Florence, which have a "flame stitch" pattern. Bargello not only refers to a stitching technique, but also to the motifs created by the change of colors in stitches. Even though this is a very traditional pattern, it still appears very modern. 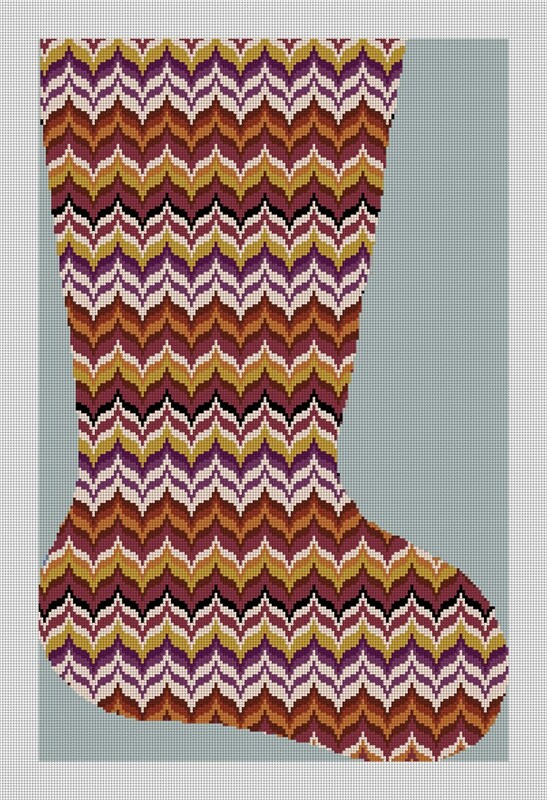 Be the envy of your relatives, by stitching this unique Bargello stocking.